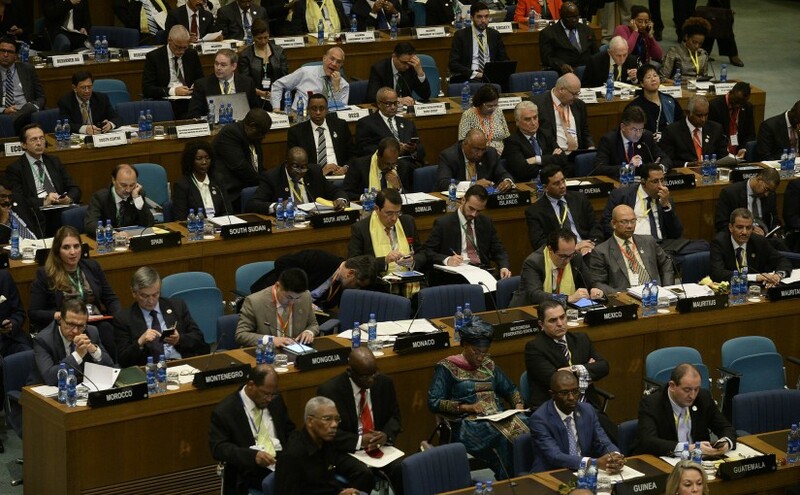 The Financing for Development Conference, which drew to a close yesterday in Addis Ababa, was never going to solve all the world’s development problems. What it could do was establish a shared policy framework within which decisions for the rest of 2015 can be taken. The outcome document, known as the Addis Ababa Action Agenda, actually does that pretty well. As I said in my blog post from Addis, development finance is no longer about how a group of rich countries can provide aid to enable a group of very poor countries to deliver basic services. The AAAA is a new agenda: how can countries across a spectrum of high, middle and low incomes generate the investment and growth that is needed to provide shared, sustainable prosperity. Developing countries would rather have jobs than aid, and the AAAA reflects this. There is a lot to like about the ideas agreed in the AAAA, including the new social compact tackling the unfinished business of the MDGs; openness as a thread that runs throughout the document (including transparency of budgets, aid, tax, extractives, data); a compact on tax revenues; an emphasis on women and girls; a commitment to focus aid on those with the greatest need, and praise for countries that allocate more aid to least developed countries; and commitments to generate more and better private investment and support from private investors and from development banks. I agree with Alex Evans’s brilliant summary in The Guardian. I’m not terribly disappointed by the lack of concrete policy actions in the Addis outcome document; but I will be if we don’t get some during the rest of the year. It is a good first step, but would be a terrible last word, for the rest of the year. The British government yesterday announced a huge capital increase for CDC, the British development finance institution which helped create 1.3 million jobs last year. This is the first such increase for 20 years. If the AAAA is translated into enough specific commitments of this kind during the rest of the year, it will have been a great success. I’m both optimistic and pessimistic about the prospects for the rest of the year. On the optimistic side, I think we will continue to see progress on issues which are within the control of individual governments, companies and organisations, and that we will accelerate the unprecedentedly rapid reduction in poverty and improvements in access to basic services that we have seen in the last fifteen years. But on the pessimistic side, I think the prospects are receding for making progress on issues that require global agreement and cooperation. These include putting a price on carbon to tackle climate change, building an open and fair trading system, allowing people to move freely, cooperating to collect taxes, reforming our international organisations, and ensuring provision of key global public goods (such as R&D, peacekeeping, rule of law, and tropical forests). There has been a lot of talk (much of it insincere) about how the SDGs are a “universal agenda.” Addis brought home to me how much this is true, in at least the following sense. With no growth of incomes in decades for working class people (or “middle class”, as Americans call them) in developed countries, it is not surprising that this has created a sense of economic insecurity and stagnation. This in turn leads to pressure for protectionism that limits trade and migration, and fosters economic nationalism that undermines prospects for global agreements on climate, trade and intellectual property. Only if developed countries do more at home to tackle inequality and increase economic security will they have the political space to reach international agreements that we desperately need if we are to meet the SDGs, and to sustain the pace of global integration that has helped lift so many people out of poverty in recent decades. Next Next post: On World Humanitarian Day: Could We Do Better with Cash?